Brandon #5104 - Yankee Golden Retriever Rescue, Inc. Happy Thanksgiving from Brandon #5104! Brandon was 2 when his family lost their home and could not keep him. Brandon was described as a big puppy who loved to be involved in all his family’s activities. He still had some puppyish habits like jumping on people, chewing things he shouldn’t, or accidentally knocking over the toddler he lived with. He was very sweet and smart and just needed some guidance to work on his manners. Brandon was brought to our vet hospital where he was neutered and treated for both whipworm and a mild ear infection. He then was brought back to Riverview to settle in. Brandon was a happy and energetic boy who loved to play with toys. He needed some work on self-control, but he was a fun dog to spend time with. Brandon quickly learned that only good behavior earned him the attention he craved! 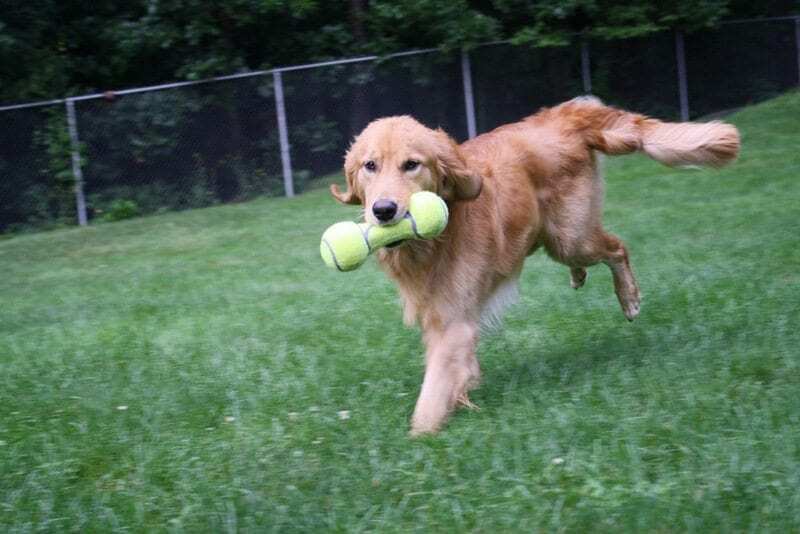 Brandon now lives with a repeat adopter who was willing to give Brandon the exercise and training a young Golden needs. Brandon is thriving in this environment, and both he and his adopter are having a great time. Brandon is very curious about everything and he has adjusted well to his new home and routine. He loves to go for walks every morning and evening. He also loves to play ball. Once he is tired, there is nothing better than hanging out in the yard or on the deck with his owner. Brandon loves his new family, and Brandon’s adopter says that he is a beautiful, wonderful boy and she feels so lucky to have him! Brandon thanks you for your support. Brandon was a typical adolescent Golden Retriever whose original family had to give him up due to unforeseen circumstances. Like many families undergoing stressful changes, they had to make some difficult decisions, including letting Brandon find a new home. 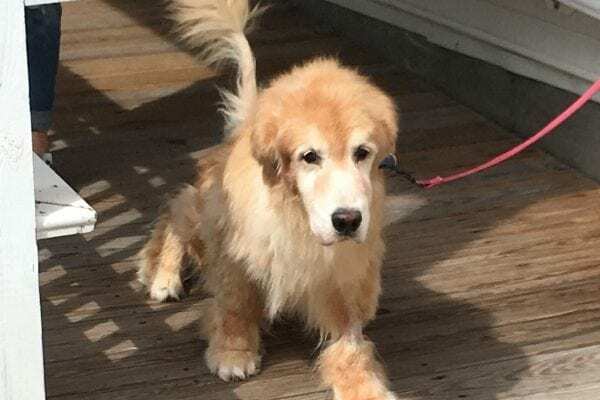 Luckily, we are here for the Goldens like Brandon who need us. We are able to give each dog who arrives the medical attention, TLC, consistency, and exercise that each one needs. Once we get to know their individual personalities and needs, we are able to match them to just the right home. This Thanksgiving, we are thankful for all our loyal supporters who make our mission possible. Thank you for helping us continue our mission. Brandon and all the Rescue dogs send big wags and kisses your way!